The Industrial Internet Consortium has launched what it calls the Smart Factory Machine Learning for Predictive Maintenance Testbed. The testbed is led by two companies, Plethora IIoT, and Xilinx. Mitsubishi Electric is reportedly planning to invest almost $20 million into GreyOrange Robotics. 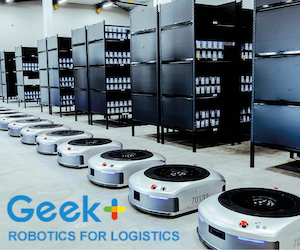 GreyOrange is a startup company developing robotics and automation systems for the logistics industry, particularly warehouse automation systems integrating robots, and has been growing fast, according to a story on EconomicTimes.com. HIT Robot Group, one of China’s leading manufacturer of robots, has launched an industrial robotics tutorial platform. HRG says Haidu Academy is designed to help learners of different levels to improve their industrial robot-operating skills on various brands. China is the largest and fastest-growing robot market in the world. According to the Ministry of Industry and Information Technology, in the first seven months of 2017, 71,600 industrial robots were produced in China, accounting for more than 30 percent of global output during the period. Statistics also suggest an increasing demand for skilled workers. The Ministry predicts that China will need 200,000 skilled workers to operate industrial robots as of 2020. Cambridge Medical Robotics, a company which is developing a robotic system for minimal access surgery, has closed its Series A funding round, raising a further $26m. The investment came from existing investors Cambridge Innovation Capital, LGT Global Invest, Escala Capital and ABB Technology Ventures, and new investor Watrium. ABB has a significant lead in the industrial robotics and automation market in China, but it seems somewhat wary of Kuka. The company recently decided it would double its investment in its research and development facility in China, and effectively make it the company’s global R&D HQ. ABB currently employs 17,000 people in 139 cities in China. 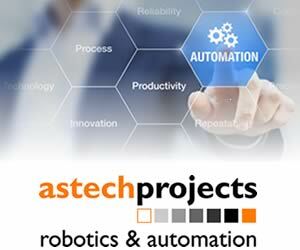 Its robotics division, though huge by itself, is just one part of the Swiss multinational engineering company. Kawasaki Robotics is planning to manufacture significantly more robots this year than it did in previous years, according to a report on Nikkei.com. The company is investing an extra $1 million in its Chonqing facility to increase robot production capacity.